The best way to ensure success in golf is with private one on one instruction from our team of LPGA and PGA of America Golf Professionals. Our golfer development program is designed to maximize your potential and dramatically improve your game through private lessons. 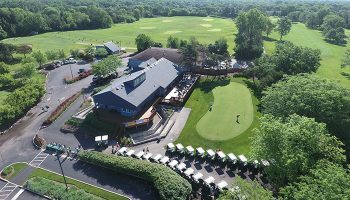 The Deerfield Golf Club and Learning Center has developed a “State of the Art” golfer development instructional program that sets the standard. Our instructors tailor a program to meet each individual needs, goals and time availability in order to improve your game. Our instruction covers every aspect of golf, full swing, chipping, pitching, putting, bunker play, mental preparation, fitness, physiology and golf course strategy. We use the latest in high tech video swing analysis to assist in your understanding of your lessons. Are you new to the game of Golf? We would like to help you get started in a non-intimidating pressure-free environment. Let us answer some of your questions. Do I need my own clubs? No, we have clubs that you can use for the class. How do I know when and where to buy clubs? Once we know what your goals are, we can make recommendations and help you with that process. Can more than one person share a lesson? Yes, we encourage new players to bring friends and family. Do the instructors go out on the course with you? Yes, our instructors are available for on-course instruction. Please click on the button below to view class offering. You can register online, in person at the park district registration office, or at the Deerfield Golf Club and Learning Center. For more information call 847-572-2685. Golf is a game for a lifetime and it is fun to play with family and friends. Our offerings are varied. We have options for everyone at every ability level. 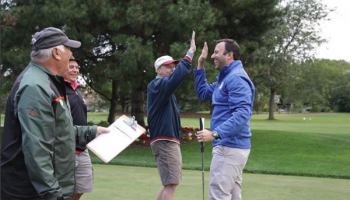 The adult group programs are designed to allow new golfers to learn the fundamentals, quickly be ready to play on the golf course and to help improve an experienced golfers game without the cost and pressure associated with private lessons. Whether you a beginner just starting to play, an experienced golfer looking for a tune-up, or a competitive player seeking an all-encompassing golf lifestyle, we have a program to fit you. You can register online, in person at the park district registration office, or at the Deerfield Golf Club and Learning Center. For more information call 847-572-2685. 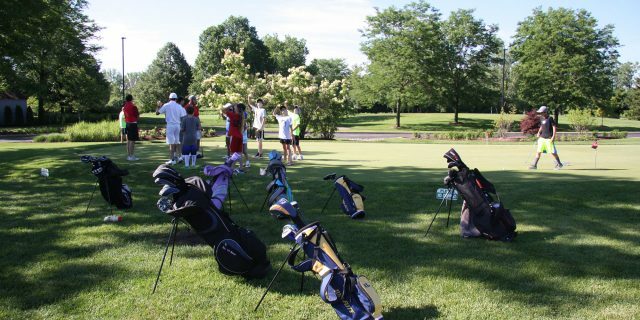 Junior Golf Programs bring the game of golf to your child in a fun and healthy way. Golf teaches social skills and values such as self-discipline, commitment, and cooperation that will carry over into every aspect of their life. 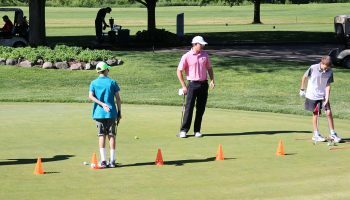 Our junior golf development programs are designed to promote a streamlined skill acquisition path that keeps our students growing and setting new goals as they develop as players. To view our class offerings click the button below. For more information please complete the form and our Head Teaching Professional will contact you to discuss a plan to meet your needs.